Jina Modell is assigned to work as an on-site drone operator in the field with a GO-team, an elite paramilitary unit. Team leader Levi doesn't have much confidence in Jina making it through the rigors of training. In the following months, however, she begins to thrive in her new environment, displaying a grit and courage that wins her the admiration of her hardened, battle-worn teammates. Meanwhile, a powerful congresswoman is working behind the scenes to destroy the GO-teams, and a trap is set to ambush Levi's squad in Syria. I liked that the narrator changed voice for different characters and instilled emotion where she could. It’s always hard to make the crowd laugh - especially when joking about war, PTSD, and mental health. 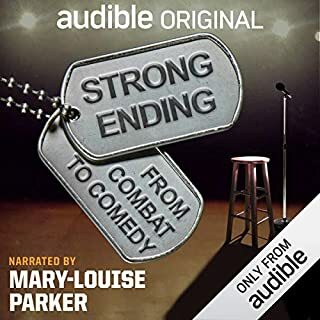 Strong Ending follows three military veterans as they attempt to turn their most painful stories into laughs by participating in a stand-up comedy boot camp. After joining the military, deploying to combat zones, and coming home fundamentally changed, Michael Garvey, Isaura Ramirez, and Patrick Harth challenge themselves to share their stories on stage and perform original stand up-comedy about their experiences for a packed house. A very eye opening book. learned a lot about vets and PTSD and last as long as well. made me think about some things in my life that when looking back I can laugh at as well. I really enjoyed this book. GhostWalker Wyatt Fontenot knows the price he paid for the secret military experiments that gave him his special catlike abilities. After all, he left his bayou home a healer and came back a killer. While Wyatt and his GhostWalker brother Gator may have known exactly the sort of game they were getting into, Wyatt never anticipated where it would lead - or to whom. A favorite many times relisten/reread! I really enjoy reading any of the books of this series but what makes this an outstanding series is the narrator. Tom Stechschulte is able to define the voices of the different characters so that you know without any doubt which character it is that is speaking as well as the emotional intention. He does such a superb job at this it doesn't make any sense for any other person to narrate any of the other books. Which has already been proven when a different narrator worked on one of the other books. I just didn't get the same enjoyment out of that particular book as I did the rest that was narrated by Tom Stechschulte. It is a great series and I'm looking forward to the next one with Tom Stechschulte as the narrator. The Cajun dive in the middle of the godforsaken swamps wasn't exactly Trap Dawkins' idea of fun. But the GhostWalker wasn't there for a good time. He was looking for her. Cayenne. It's where she found her victims. Poor suckers. Then again, who wouldn't want to leave a place like this with a woman like her? It's not Cayenne's fault. Locked up, experimented on, and never knowing kindness, she was bred this way - with a heart of pure venom. Trap understands her. A great voice to listen to. 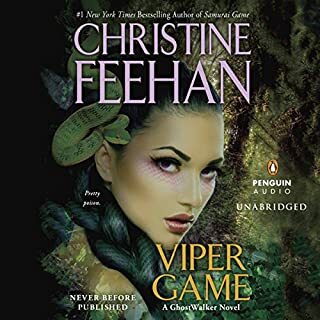 I enjoy Christine Feehan's Ghost walker series a great deal. However, the one thing that makes it the best is to hear Tom Stechschulte and the many voices that he uses for the narration. Such a treat to listen to. Barrack and Brogan have memories of their death - and it isn't a pleasant one. 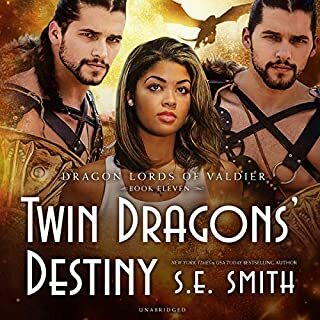 When the goddess Aikaterina gives them a second chance at life - and at finding their true mate - they are willing to do whatever it takes to change their destiny. What they don't expect is that it would be so difficult! It turns out their true mate is a human, a species they have limited knowledge about, from a planet they have never visited. With time running out, it doesn't take them long to realize this may be one battle that will take all of their skills to win. I really like S. E. Smith's books. they're very colorful and she has a great sense of humor. I like the characters that she develops. listening to David Brenin is enjoyable and it's easy to keep up with the story knowing that each character has a different voice. Despite the death of a traitor and key conspirator, the plot to use the GhostWalker experiments to undermine the security of the US by foreign interests still exists. The GhostWalkers themselves must race against the clock to neutralize the danger. No More Ghost Walkers Ever! I really like the story. However, I much prefer the character voices that Tom Stechschulte uses as compared to the narration of Jim Franhione. 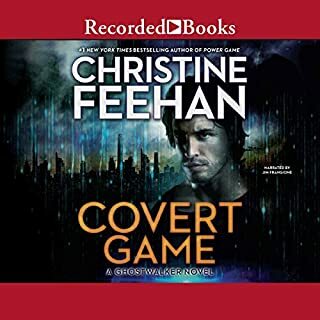 Renting out the apartment over his garage shouldn't be a life-changing decision, but when Delta soldier Cormac "Fletch" Fletcher meets Emily Grant, he feels an instant connection. He can't stand the thought of Emily and her young daughter living anywhere unsafe. Offering cheap rent is a small price to pay for their safety...and Fletch's peace of mind. Being a single mother is difficult at best, but renting the extremely affordable space from Fletch makes Emily's life a lot easier...until it doesn't. I like this series and Stella Bloom is very good with the character voices. I would recommend both Susan Stoker and Stella Bloom to other listeners. The loss of his Delta brothers - and his arm - has Dane "Fish" Munroe still struggling months later. He's moved to Idaho, where an isolated lifestyle is making things worse, not better. Not that there's anyone left to care. Actually, Bryn Hartwell cares. In fact, she tries to surreptitiously make life just a little easier for the mysterious man who comes into the grocery where she works late at night, only to get a tongue lashing for her trouble. Still, he's obviously hurting; someone has to worry about him, spurring Bryn to nurse Dane when he hits a particularly low point. I was going to return this book especially after hearing the narrator's voice. I enjoy the sound of the mail voice more, like Robert Petkoff or David Brenin, especially if they take the effort to change their voice for different characters. As I listened past the prolog and the introduction of the others characters I realized that Stella Bloom was changing her voice for them and decided to continue listening. The further along in the story the better she got. I was impressed by both the story and the effort of Stella Bloom to make this an enjoyable experience. Joan Comyn swore allegiance to Robert the Bruce the day she witnessed England's barbarous king torturing her famous mother, Scot patriot Bella MacDuff. Now the mysterious beauty slips into men's hearts like a specter and entices England's most illustrious barons to unwittingly divulge their secrets, then shares them with her king. 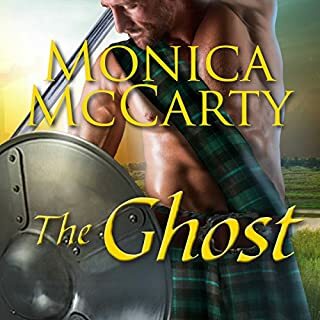 Known only as the Ghost, even among her Highland Guard brethren, Joan has become the most wanted traitor in England. 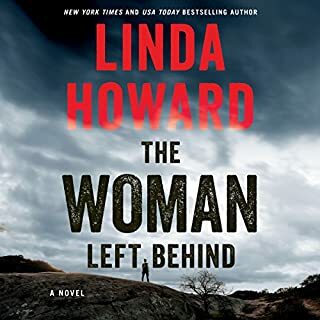 The man determined to uncover her identity poses her biggest threat yet. love this series like I love Lord of the Rings. Adventure, danger, love and hope. You couldn't ask for better. Thank you M. McCarty. Jordan Sampson is slowly adjusting to her new life on a strange planet far away from war-torn Earth. She had been 17 when she was brought to the Trivator's home world of Rathon along with her older sister, Jesse, and younger sister, Taylor, a couple years earlier. Fear, confusion, and uncertainty of what the future holds threaten to drown her as she tries to fit in. There is only one hope that keeps her going. It is the handsome alien male that stirs something deep inside her and makes her feel whole. Fantastic ~ Loved Dagger and Jordan's Story!